After the Way of the Cross, comes the Way of Light. 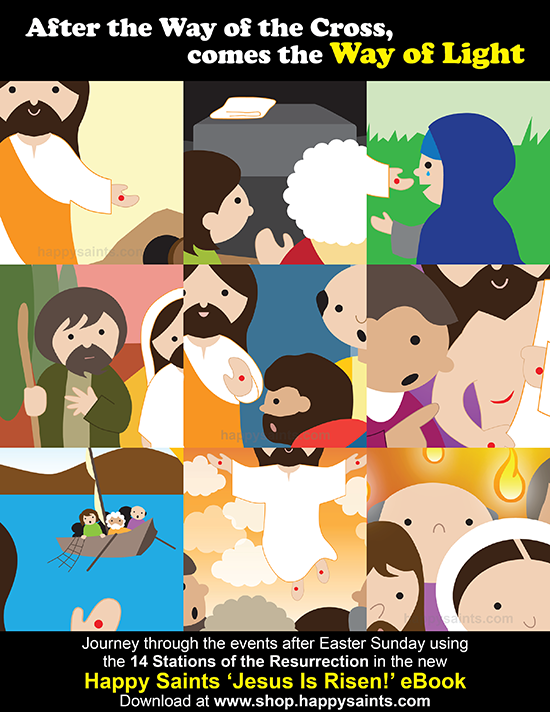 Journey through the events after Easter Sunday using the 14 STATIONS OF THE RESURRECTION in the new HAPPY SAINTS ‘JESUS IS RISEN!’ EBOOK. Easter is not over yet!